At 7 o'clock last Thursday evening a man called Tony Smith posted a photograph of his friend James Green on Facebook. 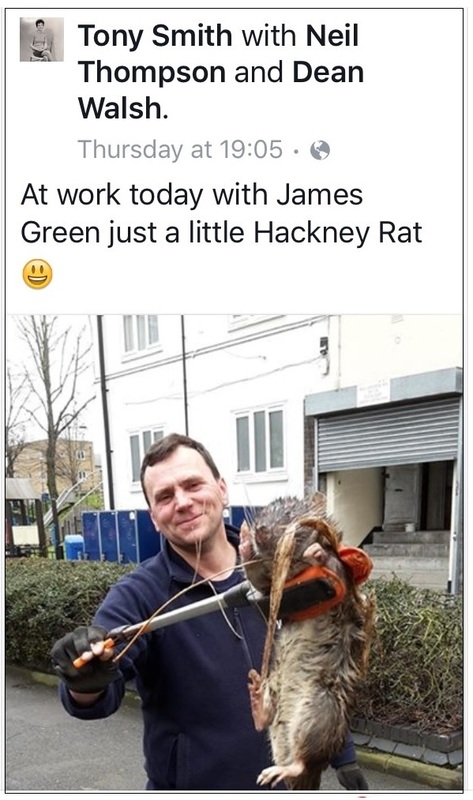 Green was holding a litter picker, which in turn held what looked like the world's biggest rat. The picture was shared hundreds of times and turned up in my own timeline at 10 the next morning, courtesy of my daughter, along with the message: "More mutant rats for you to write about". From the moment I saw it, I was in no doubt about what would make the Daily Star splash the next morning. 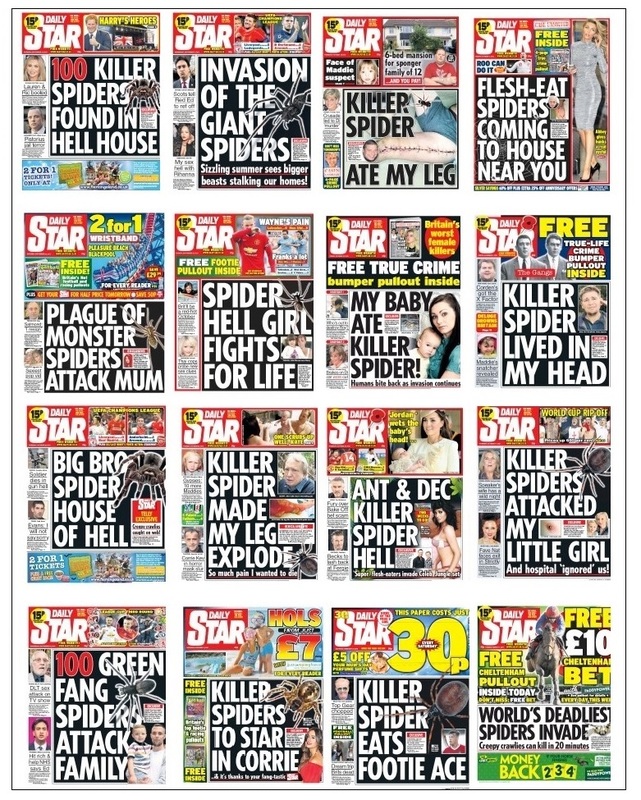 Giant rats and killer spiders are staples for the Star when Big Brother is off air and no one is being bullied in the jungle. 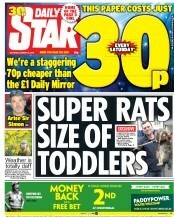 "A massive super-rat 'bigger than a child' has been snared by a terrified worker amid fears they are taking over Britain. 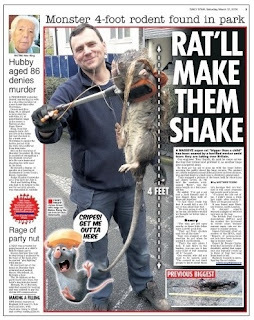 "Gas engineer Tony Smith, 46, said he came across the four-foot rodent and grabbed it as another pest scarpered away. "He then got his pal to pose up with the beast before warning the public about the huge vermin. The mutant rat, which weighed about 25lbs and lived on fried chicken, was spotted dead in a bush near a children's playground. "Tony snapped a picture of the beast held by electrician pal James Green, 46. He said the creature, nicknamed Ratty, was the same length as a four-year-old boy. "He added: 'I've got a cat and a Jack Russell and it was bigger than both of those put together. It would kill a cat....'"
"The council do not want people to know about these rats because they are worried it will scare everyone. But people need to know. "It scared the life out of me. I didn't sleep a wink last night after seeing it. They are huge and scary." We are then reminded of a previous rat scare from last month and experts are quoted saying that poison-resistant rodents have been on the increase. 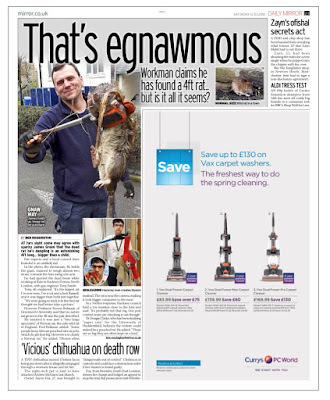 These chaps found a rat, gave it a name and worked out its height, weight and diet.They were concerned for the public, but didn't think to take the "beast" to the council's pest control department or anyone in authority. They just took a picture and dumped it in a bin. 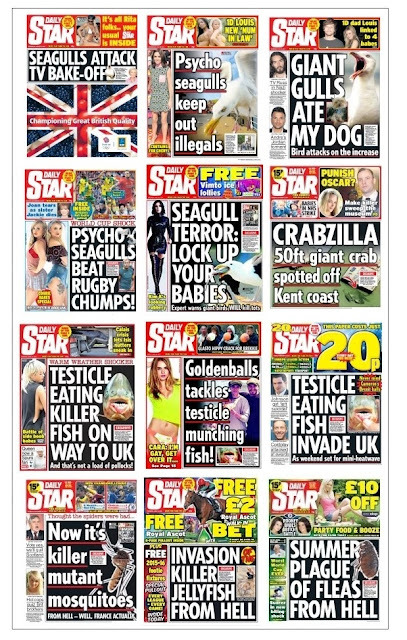 Now we've had our fun, let's set the Star aside and look at the rest of our media. The BBC, London Evening Standard, Mail online and Sky News all followed up that Facebook post on Friday with tweets and web reports. 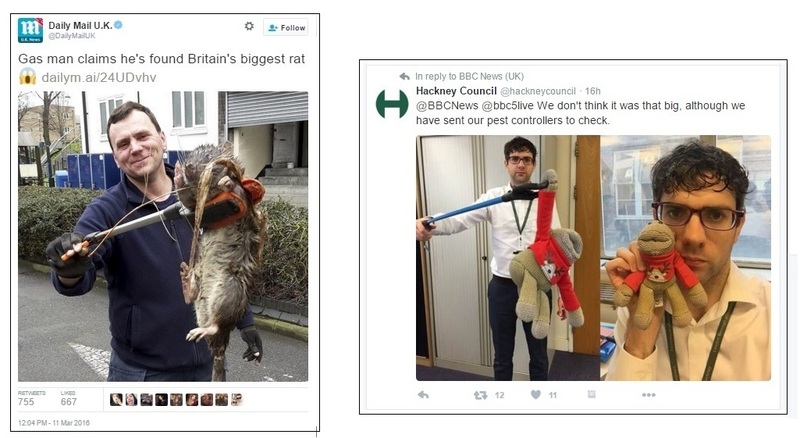 Hackney Council tweeted its response, including photographs of one of its staff with a soft toy to show how forced perspective can make something look bigger than it really is. The BBC's online Newsbeat page rubbished the picture from the word go, with a Liverpool university professor pointing out that you couldn't pick up something weighing 25lbs with a litter picker. Other people tweeted examples of forced perspective and a scientist at UCL called Oliver O'Brien showed his workings to back up his calculation that the rat was probably about 2ft long (still pretty monstrous). 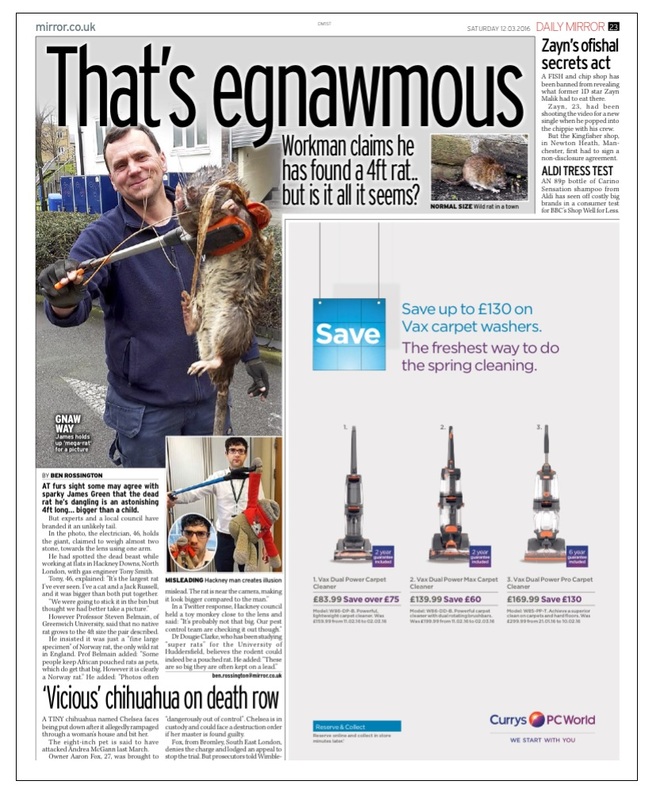 The Guardian ran a piece about how to fake a giant rat and the unreliability of internet pictures. Even the Independent, preparing for its new digital life, joined in. 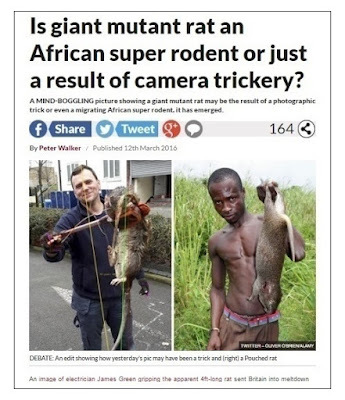 The Mirror went from accepting the story at face value to contemplating that the picture might have been a hoax, finishing with a reader poll asking "is this really a giant rat?" - to which 72% of respondents voted No. What larks! 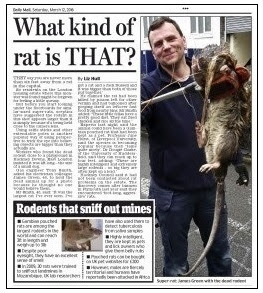 This is what the internet is all about: daft quizzes, pictures of cats and selfies - even of rats. But it is not what newspapers should be about. By the time papers went to press on Friday night, the story should have died a natural death (for everyone but the Star). But no. There it was in the Mail, Express and Telegraph, too. 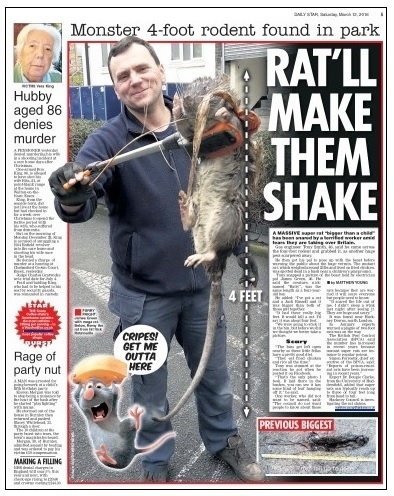 "As rats go, this is a revolting supersize example. 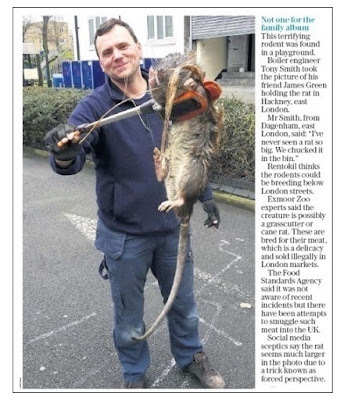 "The creature, which weighed more than 25lb, was found dead next to a children's playground in Hackney Downs, east London..."
The Telegraph described it as a "terrifying rodent" and quoted Exmoor Zoo experts as saying it might be an escaped grasscutter or cane rat. "These are bred for their meat, which is a delicacy, and sold illegally in London markets." 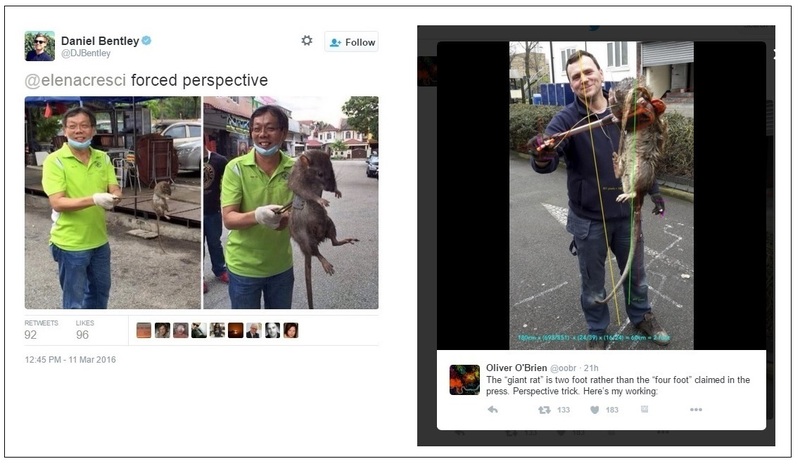 It concedes in the final par, however, that "social media sceptics" had said that the forced perspective "trick" made the rat seem bigger. The Mail put the story right at the back of the book, and while it stuck with the Gambian pouched rat theory, this print version gave more prominence to the forced perspective scepticism. 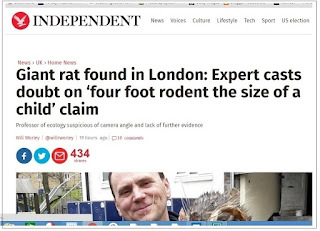 "This image of a '4ft' rat went viral yesterday - but experts reckoned a camera trick made it look twice its size," reported the Sun. 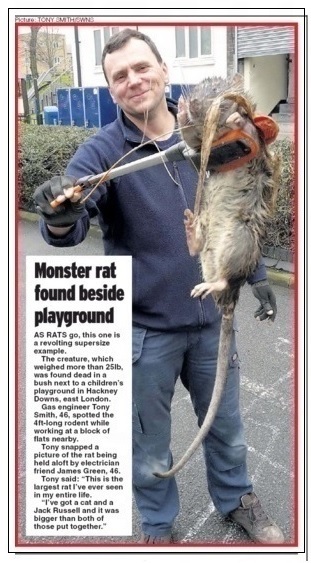 "Workmen claimed to have found the 25lb rodent by a playground. It was said to be the length of an eight-year-old boy [I thought the workmen had said four-year-old, but never mind] and was touted as Britain's biggest." Claimed. Said to be. Touted as. The quote marks round 4ft. Oh yes, the language says, we absolutely believe these guys. "At furs sight some may agree with sparky James Green that the dead rat he's dangling is an astonishing 4ft long...bigger than a child. 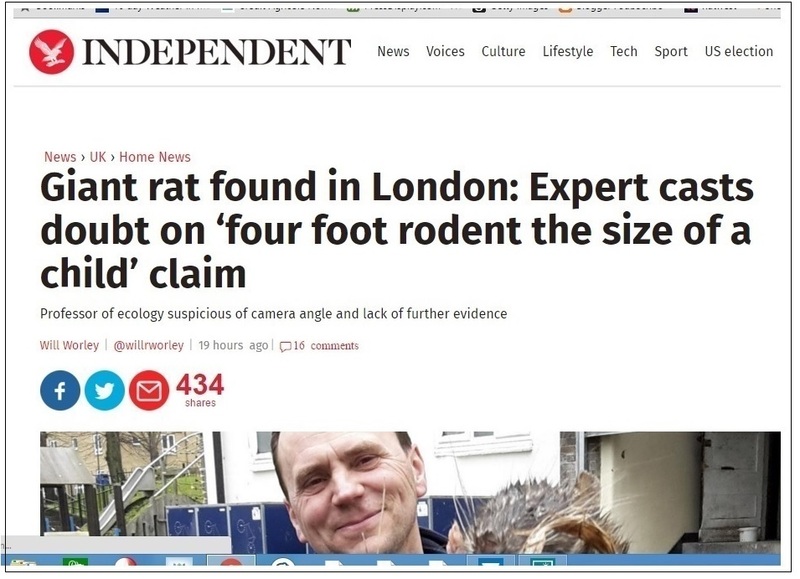 "But experts and a local council have branded it an unlikely tail..."
It quotes a professor from Greenwich who describes it as a "fine large specimen of Norway rat", and discounts the African theory. 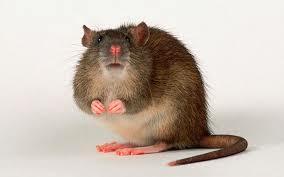 Another professor insists that it is a pouched rat, which are so big "they are often kept on a lead". 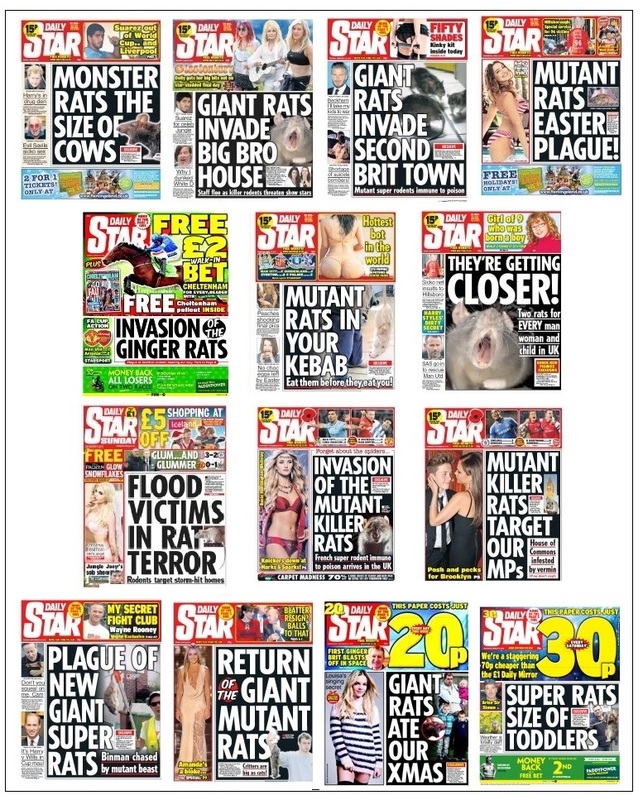 By Saturday, even the Star was having doubts and its website was asking whether the Hackney rat was from Africa or from a false perspective. It at least gave us a photograph of a genuine pouched rat being held by a human being whose hands appear to be about the same size. For that is the giveaway in the Hackney photograph: Green's right hand is twice the size of his left. 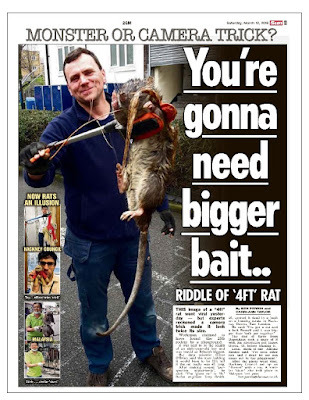 Even a 2ft rat would be a monster, so it's not surprising that it caught the men's attention or even that they photographed it. You can't blame Green for holding it at arm's length and the men may not have realised quite how big it would appear in the picture. Or maybe they did and they thought they'd have a little joke on Facebook. They probably didn't expect it to become a national phenomenon. 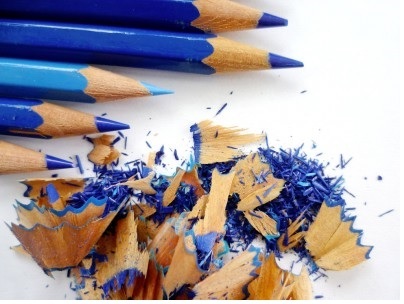 Facebook and Twitter are awash with pictures that have been doctored or aren't what they seem, but it is not the job of the Press to reprint them. We all know that newspapers are in trouble, but trying to emulate social media is not the solution. The argument that this is a "talker" - a story that people will discuss in the pub - doesn't wash. 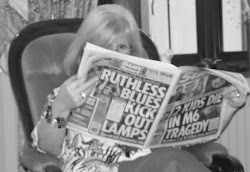 The papers who ran this ended up looking gullible or cruel - turning a couple of ordinary blokes who shared a picture with internet friends into hoaxers and fakers. Just because a few hundred people share a post or comment on it, doesn't mean it should be lifted and presented as "news", especially if all you can offer the reader is speculation. Were you having a laugh? And, if not, why didn't you take the rat to the council instead of throwing it in the bin? But to do so might have produced unwanted facts that would ruin the story. So no one did. The fact that the Daily Mail put its report as far back as page 43 tells us all we need to know about this tale: it's fine online, but it's not worth the paper it's printed on.